There are many exciting paintball courses available at the Air Assault Paintball facility. Our course includes various props and obstacles to maneuver around. We are Minnesota?s premiere indoor paintball field. Featuring the largest indoor field in the mid-west with 30,000 sq feet of rubber-backed astro-turf and a regulation Sup-Air field! Air Assault also has Minnesota’s largest full service pro-shop on-site carrying all the best paintball brands. Air Assault Paintball is conveniently located only a few minutes from Minneapolis in St. Paul, MN. Air Assault Paintball is one of the premier paintball courses in Minnesota. Participants can choose between daily passes and season passes. The facility allows users to bring their own equipment or they can rent the equipment there. The facility does however require all gamers to purchase paintballs on set. 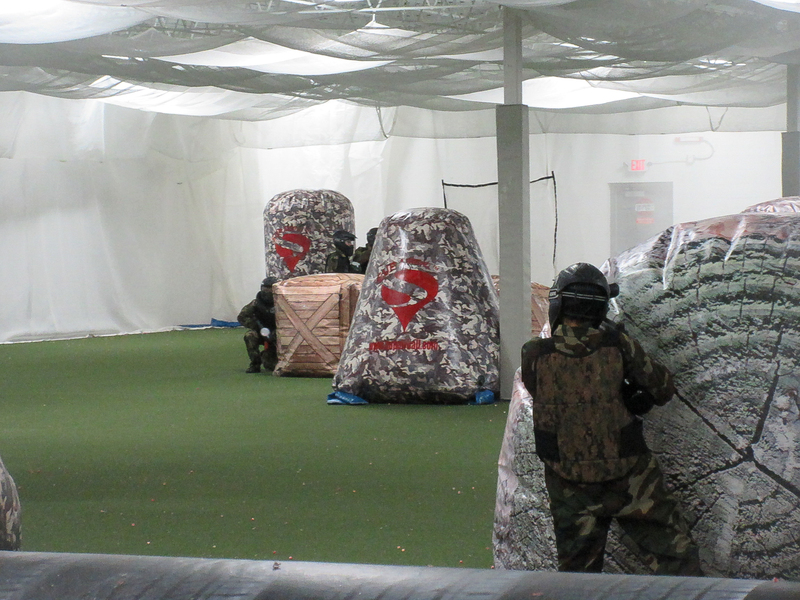 Participants who are looking for a variety of scenarios to play on have several options at this paintball course facility. Our staff members are there to help set up games and make sure the rules are being followed correctly. We specialize in birthday parties, bachelor parties, youth groups, and corporate events. We can accommodate just about any private party request, 24/7 365 days a year! Please give us a call at 651-222-0300 with any questions you may have about hosting a private group party at Air Assault Paintball.